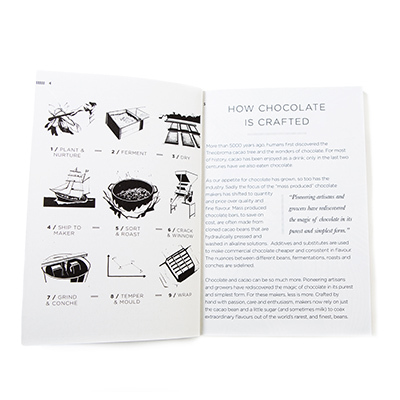 Your passport sized guide to a word of craft chocolate. 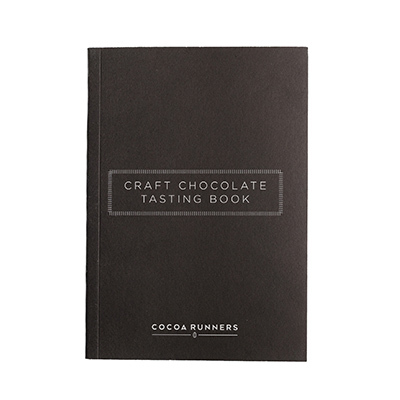 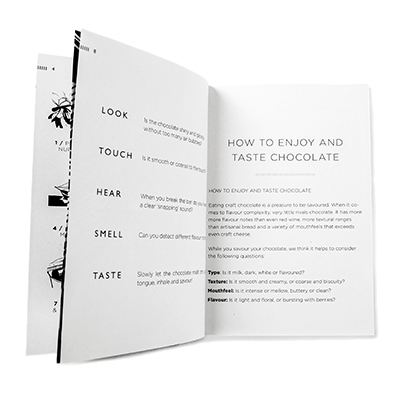 This pocket sized chocolate journal provides an easy way to articulate and record tasting notes. 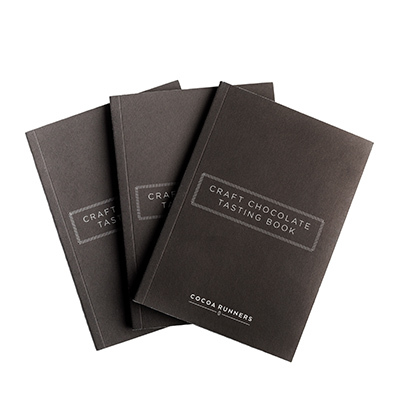 An ideal gift for craft chocolate enthusiasts, this notebook is the perfect place to capture your thoughts on each bar, critique new origins and reflect on the evolving styles of your favourite makers. 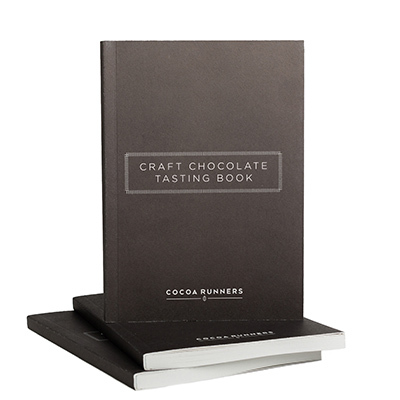 Enjoy top tips on how to taste chocolate, and our Cocoa Runners guide to the flavours, textured and mouthfeel of craft chocolate.